Trust us: you don't want to miss these jaw-droppingly good mysteries. The idea of a “beach read” used to bring to mind blue water, passionate love affairs, and family drama, but now it means something else entirely. Psychological thrillers and crime novels have increasingly become staples to read by the pool or during sunny vacations. In fact, summer’s the best time to look for new thrillers and mysteries—and revisit the unskippable titles you might’ve missed. 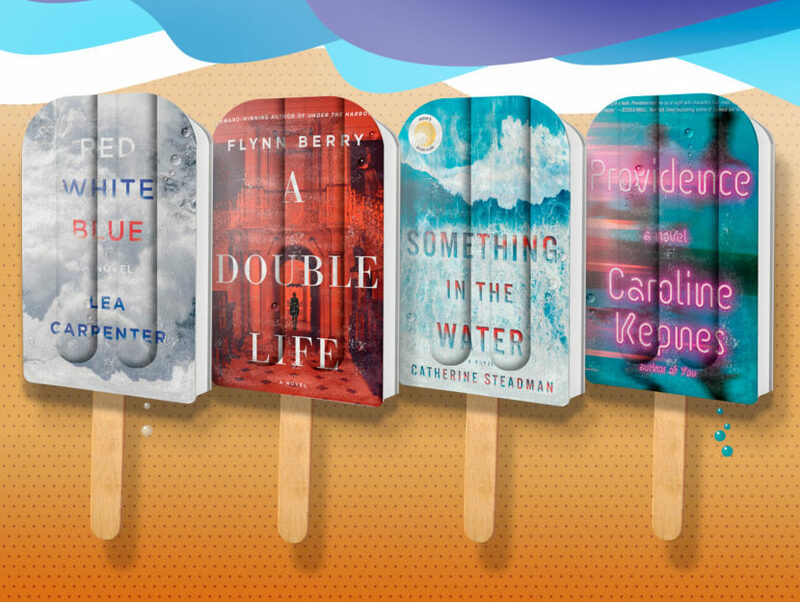 Each of these summer thrillers will keep you hooked from beginning to end, desperate to find the answers. A young woman is certain she’s located the serial killer who murdered her sister. The problem is, Carl Louis Feldman might be suffering from dementia, and he claims to have no memories of kidnapping and murdering young girls. To prove her theory, the narrator embarks on a road trip with Feldman, returning to the scene of each crime, but the questions only grow as they progress: is Carl innocent, or is he an incredibly effective liar and serial murderer whose next target is right in front of him? A house swap seems like an innocent enough prospect, and it’s just what Caroline and Francis think they need: a week away from the bustle of London in the countryside. But their getaway is marred by the problems in their marriage. As Caroline distracts herself by finding clues to the house’s owners, she realizes it’s someone who knows her—and who also knows secrets she hoped would stay buried forever. Louisa has moved to New York City to make her dreams come true, but she hasn’t exactly experienced glitz and glamour. Barely making ends meet, one day she meets Lavinia, a free spirit who’s very different from Louisa’s introverted self. When Lavinia offers to let Louisa move in rent-free, Louisa jumps at the chance to throw her lot in with this mysterious woman she so admires—but when Lavinia dies suddenly, everything spirals out of control. It’s not uncommon for Yu-jin to wake up with missing memories; after all, the seizures he suffers impact what he can remember. But on this day, he wakes to find his mother murdered, and he has no memory of whether he committed the crime. Over the next three days, Yu-jin must face the hardest truths about himself and his family as he searches for the facts behind what happened that night. Erin and Mark live something of a charmed life, and they’re very much in love. They decide to celebrate their recent marriage by honeymooning on the sandy beaches of Bora Bora. Everything changes in an instant, though, when they’re scuba diving and find something horrible in the water. What will they say to protect themselves—and more importantly, what happens if someone finds out they lied? After a bomb goes off at Penn Station, Julia Swann is devastated. She’d been on the phone with her husband Michael at the time of the explosion, and he’s now missing. However, when someone tells Julia they may have seen Michael after the attack, her hope rekindles. If he’s still alive, though, why isn’t he answering his phone or reaching out to her? How well does Julia know the man she married? Emma has been painting the same scene for years: girls in white dresses in a forest. It’s a part of her past, when she attended Camp Nightingale and one of her cabinmates disappeared. Now, the camp director wants to reopen Nightingale and asks Emma to return for its inaugural season. Is this Emma’s chance to confront her past and finally find out what happened, or will it be another summer of nightmares? Chloe is crushed when her childhood best friend, Jon, disappears, and after a few years she gives up hope of ever seeing him again. But when he mysteriously reappears four years later, she’s overjoyed. Except there are so many questions: what happened to Jon? Why can’t he remember? And what are these strange new powers he seems to have developed while he was gone? When Annabel’s husband Matthew dies in a plane crash in the Alps, she’s understandably bereft. But her sadness turns to shock when she discovers that his death may not have been an accident, and his enemies may now be targeting her. Enter Marina Tourneau, a journalist investigating the company Matthew worked for, who discovers shocking secrets that just might answer Annabel’s questions. Set in small-town Ireland, this novel revolves around DS Cormac Reilly, who’s assigned a 20-year-old cold case that takes him back to his first years as a constable. A young man named Jack has committed suicide, but his sister Maude and girlfriend Aisling insist there’s more going on. Reilly decides to re-open the case into Jack and Maude’s mother’s death by accidental drug overdose, hoping it can shed some light on the present. Lane Fielding never expected to end up in the small Florida town where she grew up, but after her divorce, it’s her only option to provide for her daughters. Ghosts from her past (and her father’s crimes) haunt her every step of the way. When her older daughter disappears, Lane isn’t sure whether it’s payback for what her father did or something else entirely, but she’s determined to uncover all of the town’s—and her family’s—secrets in order to find her daughter. Annika Lucasson has just one last chance to save herself, and in her desperation, she doesn’t care if it comes at someone else’s expense. She knows a dark secret in Cecilia Wilborg’s past, and she isn’t afraid to exploit it for her own gain. But when Cecilia feels her carefully put-together life falling apart at the seams, just how far will she go to protect it? Claire is desperate to stay in the U.S. rather than returning to Britain, but to do that she needs a job. She ends up working with a divorce law firm to entrap straying husbands; it’s not her dream job, but it’s paying the bills. But when the wife of one of the husbands Claire targets is murdered, the firm decides to use Claire for a darker purpose. It’s up to Claire to protect herself and make sure she doesn’t end up the next victim. Fiona and her estranged husband have an unusual custody arrangement: rather than shuttling their boys between them, the parents trade off time at the family home to ensure the kids have stability. But when Fiona arrives to take care of her kids one day, she discovers her husband and sons gone and a new family moving into the house. Fiona must figure out how deep the web of lies goes in order to find her children. Claire isn’t sure whether her father is a murderer or a wrongly accused man, but he disappeared from her life when she was young. She’s made an effort to move on with her life—that is, until police inform her that they’ve located him. Now, Claire must figure out who’s telling the truth, and whether her father is capable of the terrible deeds so many people have suspected him of over the years. Shari Lapena’s classic locked-room mystery takes place at Mitchell’s Inn, a gorgeous resort in a remote area of the Catskills. When blizzard conditions cause a power outage, the guests don’t panic—after all, the wine cellar’s stocked, and it just adds to the natural ambiance of the place. That is, until someone turns up dead. The question is, did one of the guests commit the crime, or is someone hiding in the dark corners of the place, targeting each of them one by one? Gracie Mueller has worked hard to put her past behind her and reinvent herself as an upstanding member of society, a wife, and a mother. But when her family’s finances are stretched to the breaking point, Gracie must return to the life she left behind. As she tries to balance the person she is now with the illegal lifestyle she once had, things start to become too complicated, and Gracie stands to lose everything that’s most dear to her. When Ben’s little brother Eric disappears, it has a profound impact on his life. After all, Ben can’t help but feel responsible: he looked the other way at the grocery store, and in an instant, Eric was gone. Years later, desperate for work, Ben accepts a job at the same store Eric disappeared from, and he can immediately tell something’s not quite right. Will his digging help him find his brother, or will it lead to disaster for what’s left of his own life? Pony has lived her entire life in a settlement called “the territory,” a product of a cult that welcomed her mother, Billie Jean Fontaine, years ago. But when her mother disappears, Pony fears Billie has returned to the past everyone thought she’d left behind, outside the confines of the territory. As Pony searches for her mother, she must unlock the mysteries of Billie Jean’s past before it’s too late. Anna’s close to her father, Noel, because her mother’s no longer in her life. That’s why she’s so bereft when she receives news that her father is dead, the victim of a skiing accident in Switzerland. Anna retreats into herself, but she finally feels a glimmer of hope when she meets a man who promises to reveal secrets about her father’s past. Suddenly, Anna’s caught in a whirlwind of new information about her father and begins questioning whether she really knew the man at all. Twenty years ago, Stella Widstrand’s life was upended when her baby daughter, Alice, disappeared. 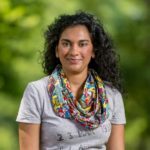 Over time, she’s managed to put her life back together and is now working as a psychotherapist. But when a young woman walks into her clinic for help, Stella becomes convinced that this person—named Isabelle—is actually Alice. Determined to find the truth, Stella embarks on a dangerous path that threatens to tear apart the life she’s so carefully pieced back together.